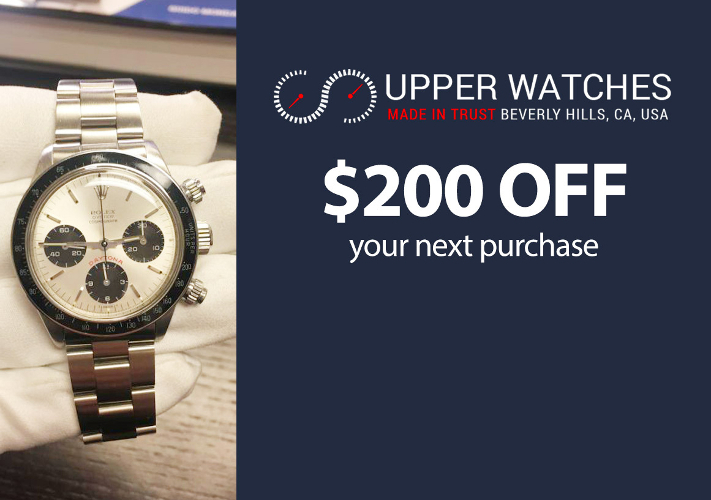 UpperWatches offer a full service watch repair and restoration for your watch. Beyond our retail showroom we have Professional Watchmakers and technicians highly trained that are able to repair all watches from the simplest movement change or crystal replacement to the more complicated automatic movement repairs and refinishing. Our team has been trained all over the world to be able to work on the most complicated of timepieces. We specialize in regular maintenance of all fine timepieces, restoration and repair of any watch with an issue. Feel Free to let us taking care of your “Precious Babies” for any service quotation (free of charge and without commitment). We offer engraving on all watches. We will be happy to discuss your engraving options. Please don’t hesitate to contact us if you have any questions by email or phone. We are not an official dealer for the products we sell and have no affiliation with the manufacturer. All brand names and trademarks are the property of their respective owners and are used for identification purposes only.